What makes a legendary race track? Is it the prestigious grounds and it's perfect track or is it the rich history and world class events held there? Overall, it is a track that has greatly impacted the equestrian World. The USA is home to some of the most esteemed racecourses in the World. The United States hosts over 25 distinguished horse races throughout the year in some of the greatest and historic racecourses in the USA. If you are looking for the ultimate horse racing experience the racecourses listed below are a must see! Churchill Downs is one of the premier thoroughbred racecourses in the USA. 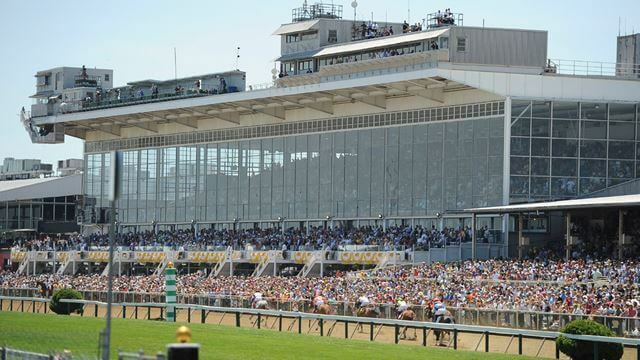 Since it was first opened over 100 years ago the track has hosted the famed Kentucky Derby each year. The facilities and race track spread over 147 acres with the twin spires grandstand becoming a symbol for the famous track and the derby. The track has also been featured in many popular horse movies such as ‘Dreamer' and ‘The Great Race Horse'. 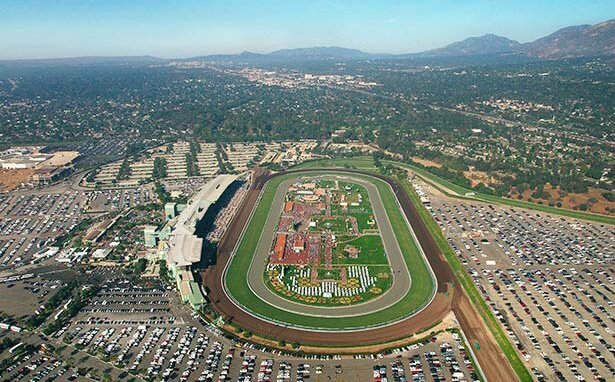 The Santa Anita racecourse in California is home to some of the most prominent racing events in the USA. The race track and facilities are of the highest quality and boast the beautiful backdrop of the San Gabriel mountains. In 2006, the track was listed in the National Register of Historic Places due to it's use as an ‘Assemble Center' for Japanese Americans during World War II. The track is also home to the famous statue ‘Seabiscuit‘ who won the 1940 Santa Anita Derby and is considered the most remarkable thoroughbred race horse in history. Pimlico race track, is second oldest race track in the USA and is home to the prestigious $1 million Preakness Stakes race, the second leg of the Triple Crown. The track is nicknamed ‘old hiltop' due a small rise in the infield where thoroughbred trainers and spectators can gather together before races. 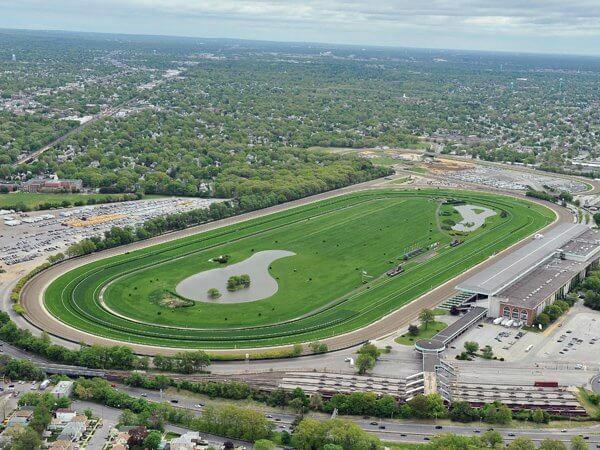 One of the most popular racecourses in the United States, Belmont Park race track is the home of the final leg of horse racing's Triple Crown – the Belmont Stakes also known as the ‘Test of the Champion‘. The track features over 60 stakes worth $18.55 million each year and is definitely one of the best race tracks to visit. After a fire destroyed this magnificent race track in 1985, the track and premises were rebuilt with the aim of becoming the most beautiful track track in America and it certainly lives up to this reputation. 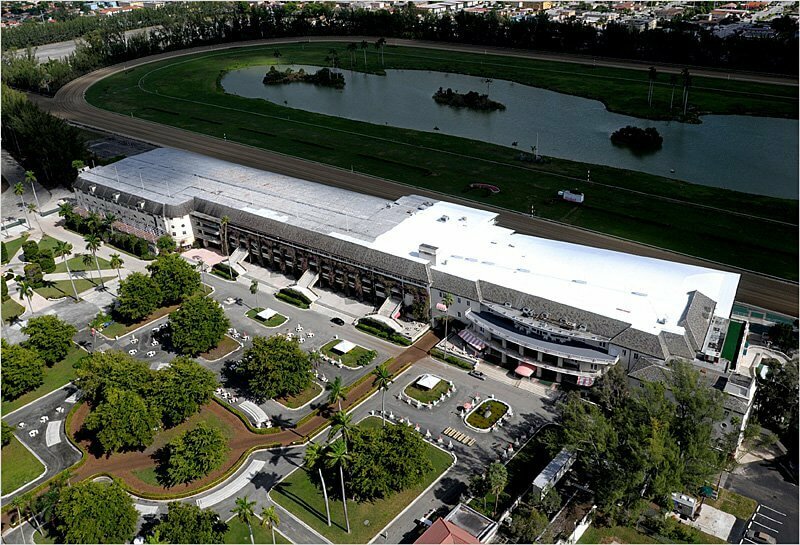 The park features incredible landscaping and a six story grand stand which offers the ultimate setting to experience thoroughbred racing. 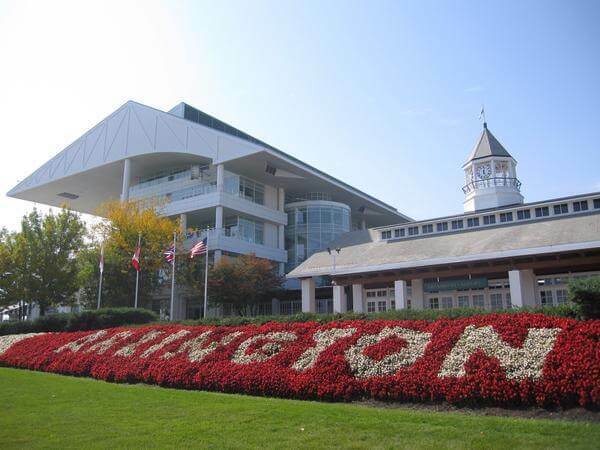 Furthermore, each year the track holds the Arlington Million which attracts racing fans far and wide. This historic race track is one of the oldest existing racecourses in America. Having been placed on the U.S National Register of Historic Places in 1979 and 1988, the track hosted some of the greatest horse racing events until 2001. The park is also famous for it's flocks of flamingos which resulted in the opening of a flamingo sanctuary on the grounds. Today, the park only runs quarter horse races but is still one of the most significant horse racing tracks in equestrian history. This thoroughbred horse racing track describes it's ground as where “where turf meets surf‘ due to it's turf and dirt tracks located so close to the ocean. The track was opened in the 1940's by Bing Crosby who was also involved in the building partnership of the track. It is most notably famous for the ‘Pacific Classic' race which set a record in 1991 for it's $1 million prize fund. 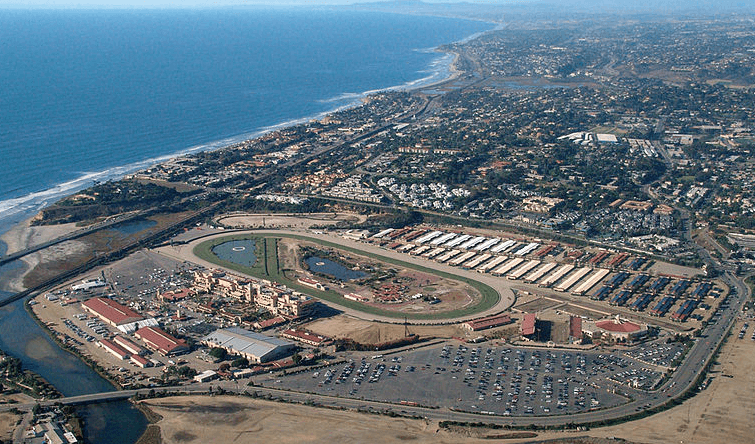 Del Mar will host the Breeders' Cup for the first time in the fall of 2017. Want to learn more about horse racing events? Why not check out our calendar of unmissable races this year!